The rental price of serviced apartment on Nguyen Trong Loi street for 2 bedrooms is 700 USD/month. – 1 bedroom with 45m2, price 500 USD/ month. – 2 bedrooms with 58m2, price 650 USD/ month. 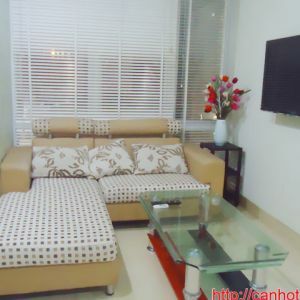 Saigon Airport Plaza apartment for rent with 2 bedroom fully furnished 93sqm 19 mil VND / Month.